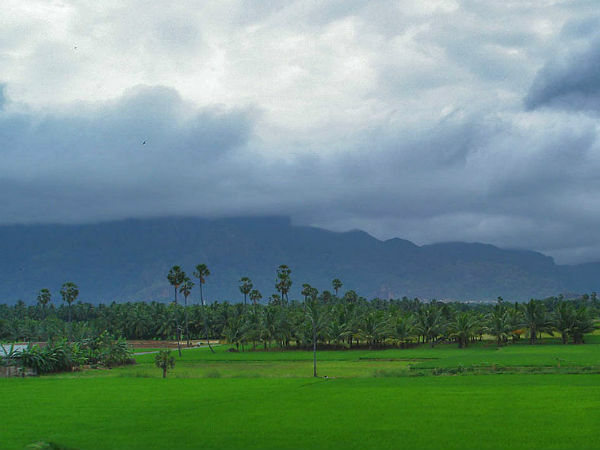 The greenest city in Tamil Nadu, Nagercoil is surrounded by the rich Western Ghats on three sides and is covered with hills, luxuriant plains and valleys. Therefore, it wouldn't be wrong to say that Nagercoil is the most beautiful city in Tamil Nadu. It also boasts of its historical importance. Yes, Nagercoil has been in existence since the early Medieval Period of India when it was a significant part of the Travancore kingdom. Today, it is characterised by its lovely weather, prolific vegetation and surreal location, and hence it makes for an idyllic weekend destination for travellers. It is one of the few places where you can witness and savour the raw and unexplored beauty of Tamil Nadu. Following are listed the major things one must do while in Nagercoil. Located in the centre of the city, Nagaraja Temple is a Hindu temple dedicated to Lord Vasuki, the king of serpents, and is a popular pilgrimage centre amongst his devotees. On an average, it is frequented by thousands of tourists as well as Hindu devotees every year. As per ancient texts, the temple site is said to have been the residence of snakes and their lords during the period of the epic Ramayana thousands of years ago. However, the exact history of the temple is still a debatable topic. If you are looking forward to relishing divinity and calmness in Nagercoil, then you must visit Nagaraja Temple. Built in the locality of Kottar, St. Xavier's Church is one of the oldest-known churches in the state. As per records, it is said to have been constructed in the late 16th century. Even though the temple is of great religious as well as historical importance, it is primarily visited by tourists on account of its incredible architecture. From its beautiful cross to intricately designed window patterns, each and every corner of this ancient masterpiece deserves to be captured on your camera. If you are an architecture enthusiast, you cannot afford to miss such a marvellous entity while in Nagercoil. Being settled amid the Western Ghats, the region in and around Nagercoil harbours natural wonders. As it is also known for its rich agriculture, you can also enjoy and frame the beauty of paddy fields and other colourful farm lands. Don't you think that the unforgettable views of lush green farms with a backdrop of towering hills as they get immersed in clouds need to be framed? If yes, then Nagercoil is, undoubtedly, a weekend stoppage for you. From exploring the richness of its agriculture to savouring the majesty of the Western Ghats, you can experience the best of Tamil Nadu here. If you do not know, then let us tell you that Nagercoil is also popular for its traditional cuisine which cannot be relished in its authentic taste anywhere else in the world. To your surprise, Nagercoil traditional cuisine is not only famous in Tamil Nadu, but across the country. The major dishes which can be tried here include theeyal, nanjil fish curry, aley appam, vendhaya kuzhambu and kinnathappam. So, what do you think about getting yourself to this wonderful city and exploring your taste buds? Believe us, a trip to Nagercoil will definitely be worth remembering. The presence of the Arabian Sea on its fourth side makes Nagercoil the ultimate weekend destination for travellers. It is not easy to find temples, beaches, hills and farmlands in one place. However, Nagercoil is here to provide you with all of these attractions. There are several beaches around Nagercoil where you can find an uncrowded and unpolluted environment. The list includes Sanguthurai Beach, Chothavilai Beach and Muttom Beach. All these coastal beauties are known for their appealing environment which is free from the tourist crowd.